King Arthur Legend of the Sword Movie Review: King Arthur Legend of the Sword, is not strong on narration but grips on Ritchie’s style making this a slick one!!! What is it about: It’s a fantasy period film, which is loosely based on the Arthurian Legends that forms the crux of the story directed by Guy Ritchie. Why it’s disappointing: The 3D was unnecessary for this film, which was a big hindrance in viewing experience, the makers could have avoided it. Apart from that it doesn’t digs deep in characterization it floats a leisure amount on the making style of Ritchie, which manages to takes the audiences mind off the flaws in the film. And of course, Jude Law kind of looked lost in those grey shades. What to watch out for: The film had great feel which every Guy Ritchie film does, and this was no different. It takes some time to warm up, but when it does, it runs at god speed. The film did have flaws which was not up to the mark for an epic fantasy of this calibre, but Ritchie manages to nudge the obvious and makes his way through the audience. 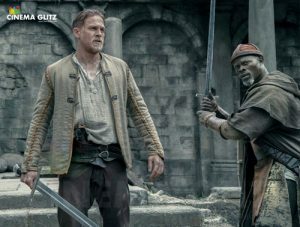 Charlie Hunnam as King Arthur, may not be an apt choice, but he brings a great amount of style and grit to the character which does the job in a fine way. The rest of the cast seemed like cameo’s rather than supporting roles. Which did what they’re supposed to do. It had amazing VFX which was rendered well, but 3D kind of spoiled it. The cinematography was great by John Mathieson. So was the edit by James Herbert. The action was high point of the film, which was meticulously choreographed and performed. Verdict: Guy Ritchie, doesn’t match up to himself on narrating this epic fantasy but manages to sail through with the unique style of presenting a film. That makes this one worth a watch. King Arthur: Legend of the Sword Movie Review: King Arthur Legend of the Sword, is not strong on narration but grips on Ritchie’s style making this a slick one!!! 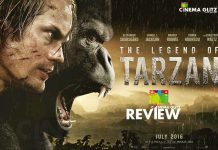 ‘The Legend of Tarzan’ Trailer Review: The Legend follows, Tarzan!!! 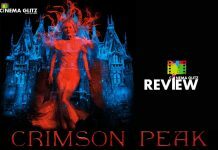 ‘Crimson Peak’ Movie Review: Electrifying, blood soaked which is gloriously decorated with delectable visuals!!! 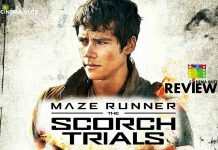 ‘Maze Runner: The Scorch Trials’ Movie Review: With “The Scorch Trials” the series gets a tougher outlook!! !